When asked "How does India look from space?" by then Prime Minister Indira Gandhi, Rakesh Sharma, the first Indian to travel in space, replied “Saare Jahan Se Achcha" - better than the whole world. Yes, our Earth looks amazingly beautiful when viewed from space. Especially that particular city or neighborhood we live in seems to be more fascinating to us. The image you see above with stripes of orange, black and white, gives an impression of a tiger’s head. 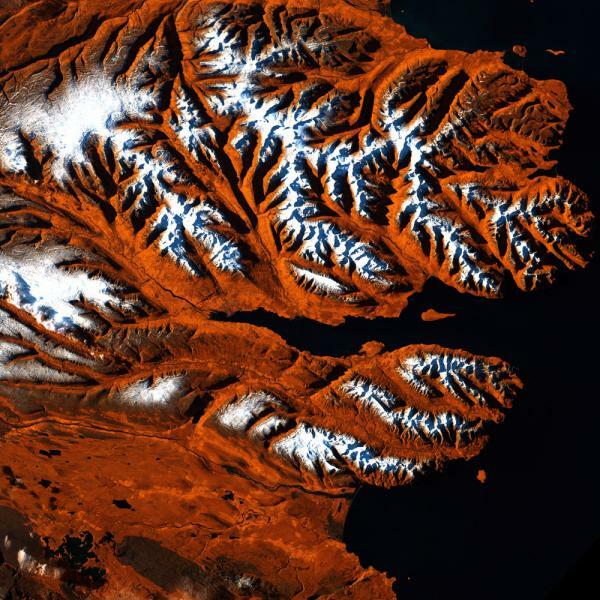 But, actually it is a satellite image of Eyjafjorour, the longest fjord in Iceland. Join me for an amazing tour of the world including active volcanoes, big mountain ranges and famous deserts.